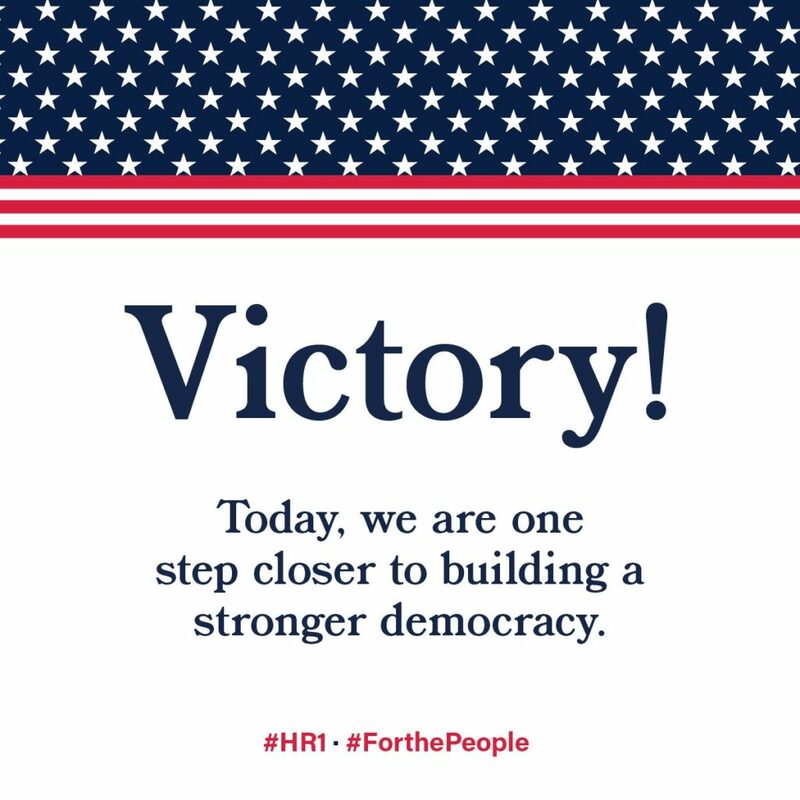 On March 8, the U.S. House of Representatives passed #HR1, the boldest democracy reforms since Watergate. The bill protects the right to vote, makes elected officials accountable to the people, and would reduce the dominance of big money in our politics by creating a six to one match for small dollar contributions. The bill also calls for an amendment to the U.S. Constitution to overturn Citizens United to stamp big money out of politics for good. But we’re not over the finish line yet. In fact, we still have a long way to go, the bill now heads to the U.S. Senate where it faces stiff opposition from the Senate Majority Leader (one of the people who has the most to lose if we pass meaningful democracy reforms to fix the broken system). That’s why it’s critical that we don’t stop doing what we’re doing. Keep stamping, keep calling your representatives, and keep demanding action to fix our democracy!